To access this page directly via a short URL, you may use https://www.jdavidstark.com/resources/online-research/. Suggestions for additions or other changes to this page are welcomed here. Google: Google has two services in particular, which make online research very feasible. ANNIS Corpus – A morphological query tool for the Perseus Library Greek and Latin texts. Codex Sinaiticus – A digitized version of Codex Sinaiticus. Comprehensive Aramaic Lexicon – An excellent resource for targum research. Documenta Catholica Omnia – An extensive library of resources from the Church Fathers, including a substantial number of selections and whole volumes from J. P. Migne’s Patrologia graeca and Patrologia latina. Downloebables and Loebolus – Indices of Loeb Classical Library volumes freely available for download. Harvard University Press’s website provides a useful index of the various volume numbers. e-Codices – A virtual library that provides access to medieval and selected early modern manuscripts held in Switzerland. Epigraphic Database for Ancient Asia Minor – An epigraphic database in which all Greek and Latin inscriptions of several different regions from ancient Asia Minor are collected. The Greek Word – A site holding various resources for the study of Greek literature, including Migne’s Patrologia Graeca. Inscriptifact – A database of text images, including some of the Dead Sea Scrolls. Requires registration and Java Web Start. Internet Research Resources – A list of online research resources curated by Yvonne Wilbur, Library Director at Eternity Bible College. Nestle Aland (26th ed) – An HTML version of the NA26 text. Online Critical Pseudepigrapha – A critical, electronic publication of different pseudepigraphal manuscripts. Pentateuchal Targumim – English translations of several targums, which are made available by the Newsletter for Targumic and Cognate Studies. Perseus Digital Library – The Perseus Library contains extensive amounts of literature from the Greco-Roman period. TanakhML Project – An electronic BHS text with various formatting options. Tertullian Project – Latin texts, translations, editions, bibliography, links, manuscripts, and text critical remarks for Tertullian. Thesaurus Linguae Graecae – TLG is a University of California, Irvine research center. TLG’s goal is to create a comprehensive digital library of Greek literature from antiquity to the present era. American Theological Inquiry – An online journal of theology, culture, and history from broadly ecumenical perspectives. ATLA Product Center – ATLA’s list of resources, some of which are freely available. Directory of Open Access Journals – This service covers free, full text, quality controlled scientific and scholarly journals, and the service aims to cover all subjects and languages. International Journal of Lexicography – Articles addressing various lexicographic issues while focusing on dictionaries of the major European languages. Jewish Studies, an Internet Journal – A journal dealing with all fields of Jewish Studies. Journal of Greco-Roman Christianity and Judaism – Articles from the current volume are freely available as PDF downloads. Journal of the Evangelical Theological Society – Articles from all but the most recent two full years are freely available as PDF downloads, as well as volumes 1–4 of the older Bulletin of the Evangelical Theological Society. Tyndale Bulletin – The journal of Tyndale House, Cambridge, and the Tyndale Fellowship for Biblical and Theological Research. Academic Earth – A site that aggregates online degrees and courses from a number of leading universities. Annotated Bibliography Project – An annotated bibliography of recent research on tense, aspect, aktionsart, and related areas. Bible Research – An excellent index of online resources for biblical studies. Bible and Interpretation – The site attempts to present current information about the biblical studies field for the general public and student. Biblical eSources – A collection of online, biblical studies resources maintained by Ted Hildebrandt. Christian Classics Ethereal Library – Calvin College’s full text, electronic library. Codex – Various resources for fields including biblical studies, Old Testament Hebrew, religion and popular culture, theology, and film. Durham University E-theses (Theology and Religion) – An online repository of masters and doctoral theses by students at Durham University. Edinburgh Research Archive – A digital repository of research produced at the University of Edinburgh, including full-text, digital theses and dissertations, book chapters, working papers, technical reports, journal pre-prints, and peer-reviewed journal reprints. Emanuel Tov – Dr. Tov has posted a number of his publications online in openly-accessible, PDF format. Free Books in Biblical Studies and Related Fields: Google Books, Archive.org, and Web-Based Content – A list of books freely available online for biblical studies research. Bulletin for Biblical Research – Back issues of the Bulletin for Biblical Research. Internet Sacred Text Archive – The largest freely available archive of online books about religion, mythology, folklore and the esoteric. K. C. Hanson’s HomePage – Hanson is Editor-in-Chief at Wipf and Stock publishers, and his homepage contains a valuable index of online resources for biblical studies. The Library at Southeastern (Research Guides, eBooks/a>) – A substantial index of online resources for biblical and theological studies. Logos Books – Miscellaneous, full-text resources for biblical and theological studies available to users of Logos Bible Software. N. T. Wright Page – An unofficial website with information about and resources from N. T. Wright. NeoNostalgia – Several active forums on New Testament topics and related issues. New Advent – A wealth of resources from a Roman Catholic perspective, including the Catholic Encyclopedia. New Testament Resources – The website of Rod Decker with various resources related to New Testament and Greek. The Online Books Page – A list maintained by the University of Pennsylvania of over 35,000 books freely available online. Open Thesis – A free repository of theses, dissertations, and other academic documents, coupled with search, organization, and collaboration tools. Oxford Bibliographies Online – A number of annotated bibliographies on various subjects. Additional bibliographies are available through subscription. The Paul Page – The Paul Page is dedicated to the new perspective on Paul, but contains a good bibliography of articles on both sides of the debate. Project Gutenberg – An archive of over 30,000 free ebooks compatible with PC, iPhone, Kindle, Sony Reader, and other devices. Reclaiming the Mind Ministries – A website with numerous Evangelical Theological Society papers available for free download. Religion Online – An index of over 6,000 documents on various religious studies topics. Scribd.com – The website for world’s largest social publishing company. Septuagint Online – A collection of resources for studying the Septuagint and Old Greek versions. Summer Institute of Linguistics International – By facilitating language-based development, SIL International serves the peoples of the world through research, translation, and literacy. Theological Research and Exchange Network – Provides fee-based access to a number of theses and academic papers. 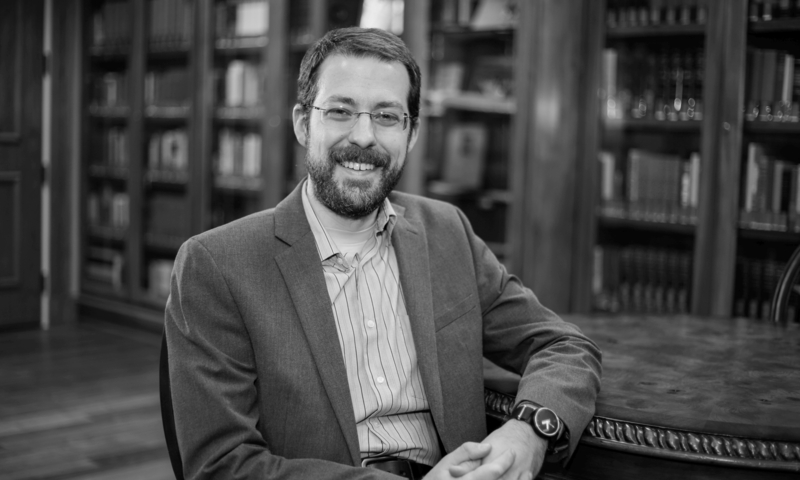 Thomas Schreiner – Thomas Schreiner’s webpage at Southern Baptist Theological Seminary. Tyndale House Library – A portal from which to browse and search Tyndale House’s index of books and journals available online. Websites on Religion – The Wabash Center’s guide to electronic, religious studies resources. Evernote – Evernote has a desktop and a web client that will let you save text and screenshots to your account. Evernote will let you search any text in your account, and it will attempt to recognize text in images (e.g., screenshots) and render this text searchable also. Evernote will also let you share notebooks among a group of collaborators. Dropbox – Dropbox will create a folder on your computers harddisk, and any files that you have moved into this folder Dropbox will automatically backup whenever they are updated and closed again. Dropbox will also let you share and collaboratively edit files with other users. Note: Dropbox does not, however, presently support real-time collaboration. If you and someone else are working on the same file at the same time, Dropbox will save both files separately, and one person will need to review and combine the changes into a single file. FoxIt PDF Reader and PDF X-Change – Both FoxIt and PDF X-Change will let you mark up or annotate PDF documents with things like highlighting, underlining, and text notes. Google Docs – Google Docs is a web application office suite that allows real-time collaboration on documents that can be shared among multiple users. Sharing seems to work best with @gmail.com or other Google Mail addresses. Email accounts @gmail.com are, of course, also available for free. RapidTask – RapidTask is an online to-do list with collaboration and group task assignment capabilities.